Answering a call regarding a missing friend, the crew of Serenity stumble across a secret that puts all their lives at risk. Unfortunately, their friend learned the same secret and has fallen into the clutches of The Alliance. The future of the whole damn "Verse may rest on what happens next. 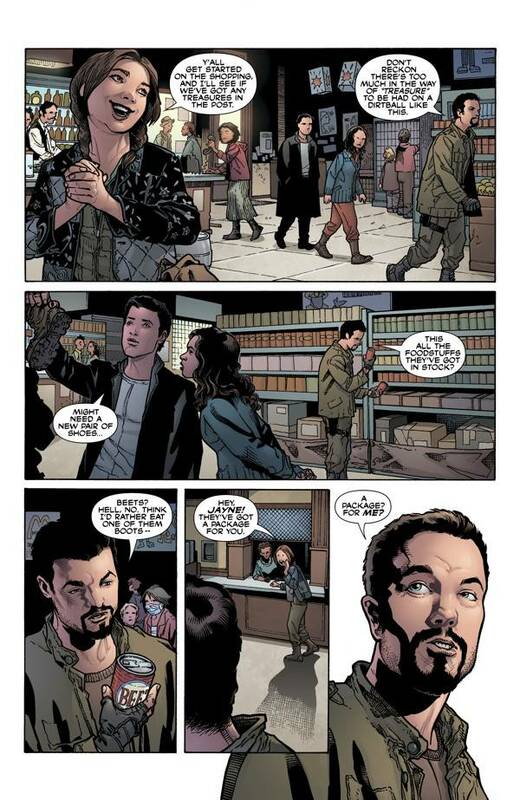 Chris Roberson has perfectly captured the flavor of the original Firefly show and has a good handle on the characters. 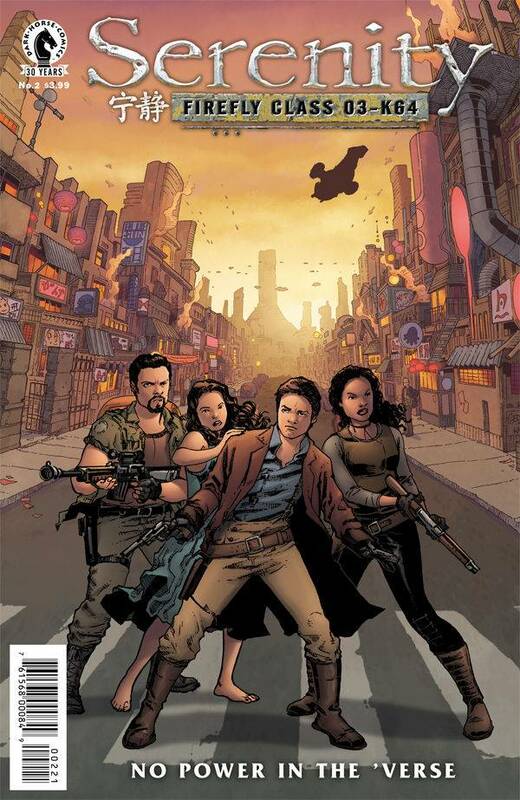 Unfortunately, the story still suffers from the same problems that plagued the last Serenity mini-series - Leaves On The Wind. Namely, for a franchise built on great female characters, the ladies on the cast have precious little to do with the action, apart from River. 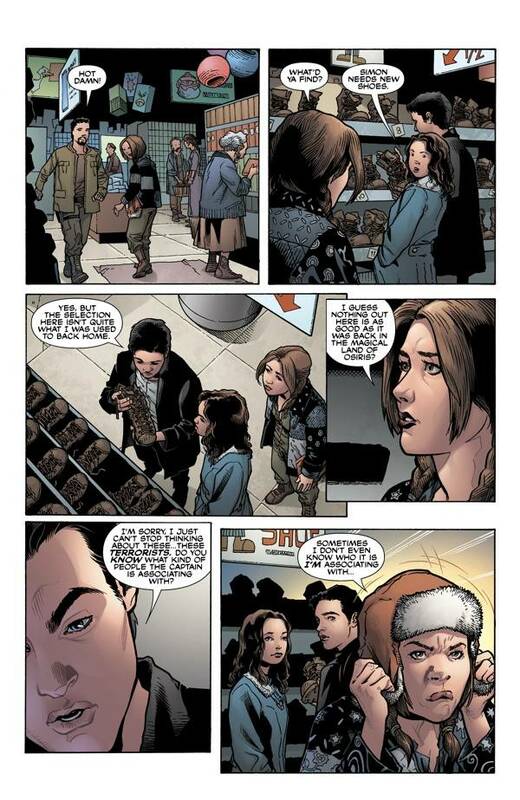 Zoe doesn't even appear in this issue and Inara - while seen - doesn't have any lines! 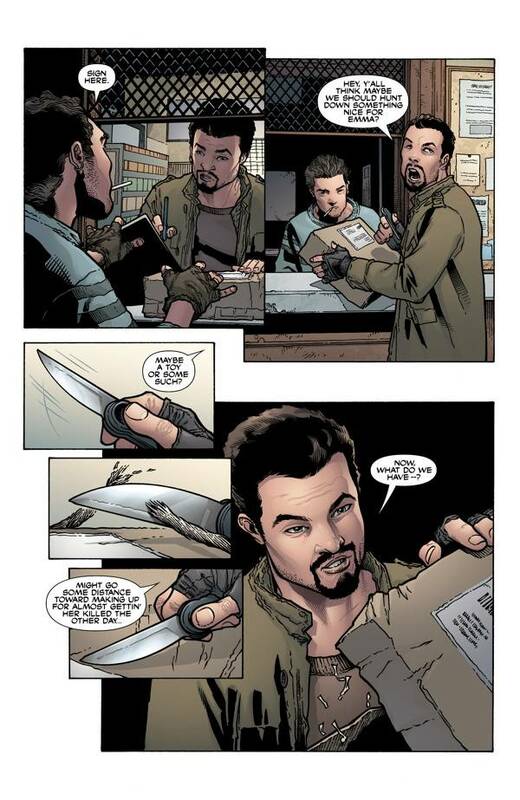 A bigger problem is the artwork by Georges Jeanty, which is sloppy and inconsistent. All sense of detail is lost beyond the middle distance and perhaps one close-up panel in four will resemble the original actors from the show. Karl Story and Wes Dzioba do what they can to finish things properly but it's akin to painting a cow pie to make it presentable. Serenity: No Power In The ‘Verse #2 will be available for purchase on November 30, 2016 from your local comic book store (Don’t know where that is? Here you go.) or digitally via Comixology.com.